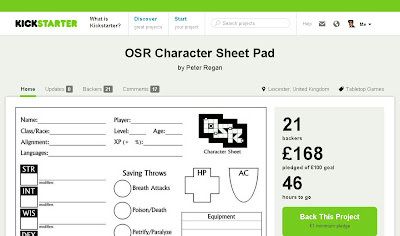 The OSR Character Sheet Pad Kickstarter finishes on Sunday, so there's less than 48 hours to get in on it. I'm really pleased with how it's gone so far, but it would be nice to see it break the £200 mark. A couple of weeks ago, myself and a couple of friends tried a Savage Worlds skirmish game. 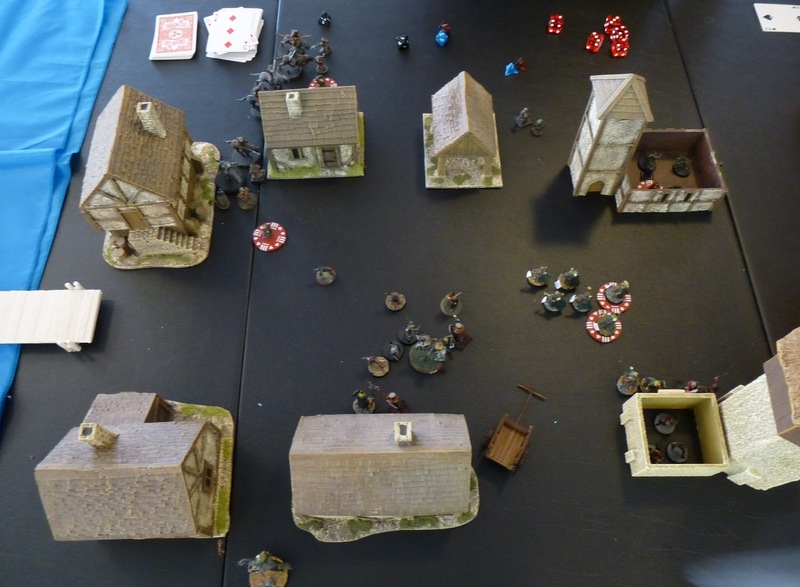 The two players had a 15-20 troops and a couple of Wild Cards. 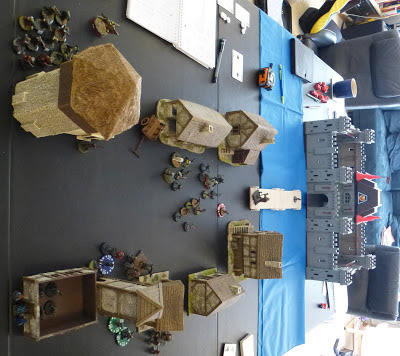 I had humans and the other player had dwarves. 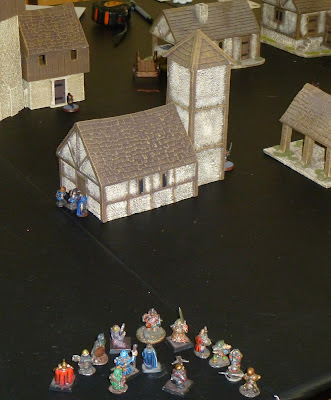 The humans had 5 cavalry and the dwarves had a wizard and a few scouts (which moved almost as quickly on foot as the horses!). 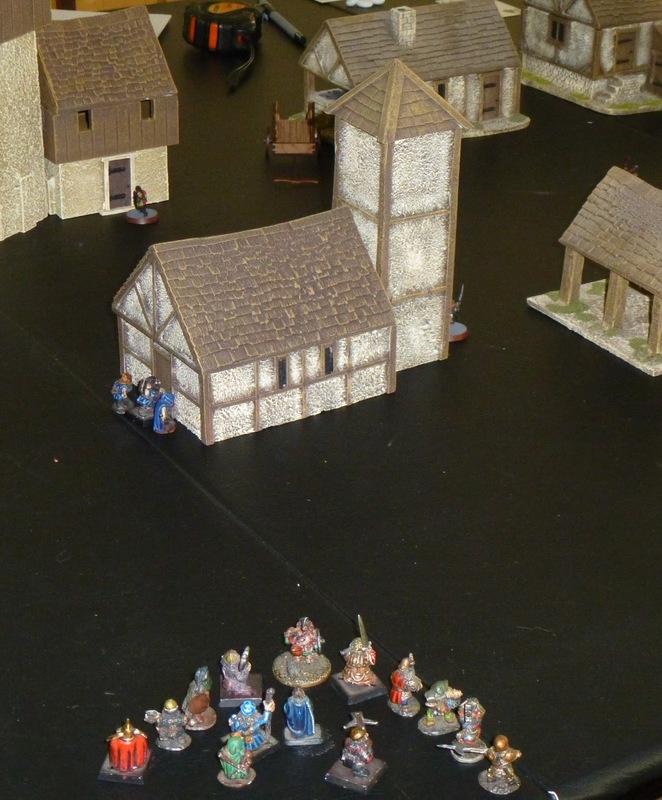 The background story involved a castle and small village being taken over by a large group of goblins and some ogres. 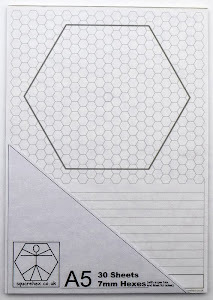 The enemy leader was a witch with the power to raise the dead. We played about 7-8 rounds and almost took care of all the goblins, including their wolf-riders who showed up just as the last ogre was slain. 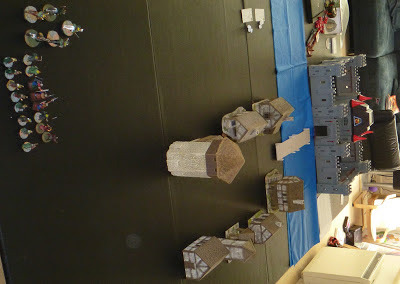 We didn't manage to get the witch and her undead forces as they were in the castle. 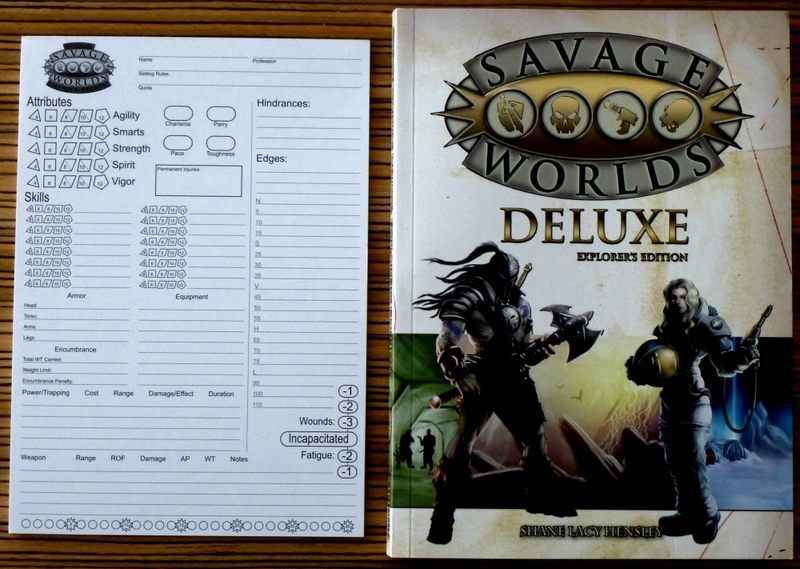 We've had group fights before using Savage Worlds but this was the biggest fight yet. 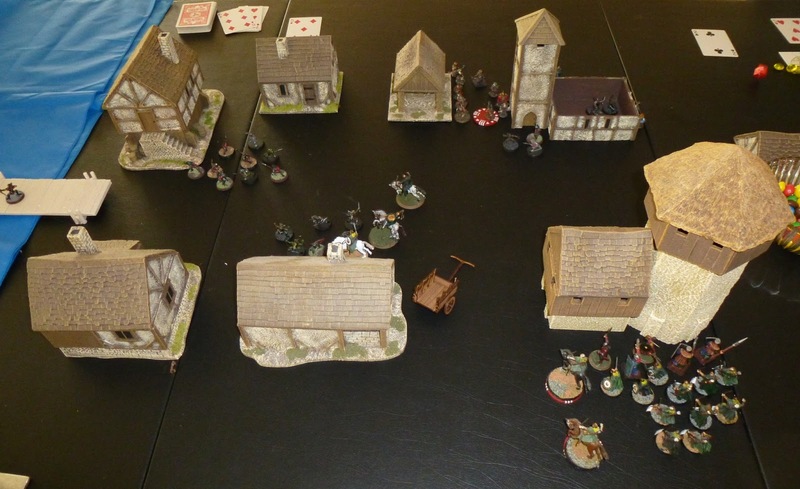 I'd like to try the same sort of set-up using Song of Blades and Heroes to see how it compares. Here's a few photos of the game as it progressed. Over the last couple of days I've been busy posting out Savage Worlds Character Sheet Pads out to backers. Now that I've sent the last of them it's time for a new Kickstarter. 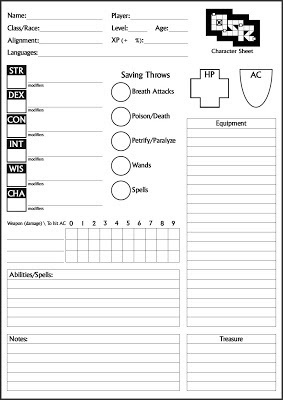 I've decided to revisit my previous OSR character sheet project and put up the A5 B/X sheet that featured in it. 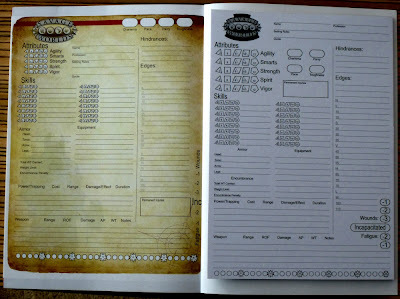 Last year I tried to fund printing the sheets on Indiegogo, but the goal was too high and it didn't make it. However, I did release a PDF of the sheet alongside my Advanced Character Sheet that I successfully Kickstarted a few months ago. 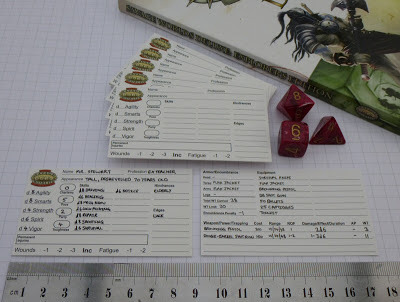 This time the project is being given a helpful little push as the printer that I use has offered a discount on any July orders. 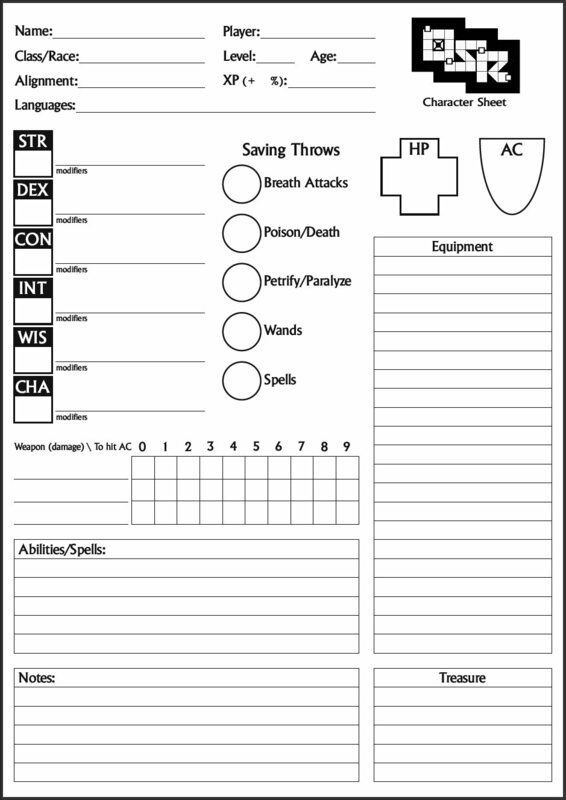 This, combined with a little bit of subsidy from my last 3 projects means, I'm pretty certain that these sheets will now make it in to print even if there are only a dozen or so backers. Of course if it gets a few more than that I'll be very happy indeed.